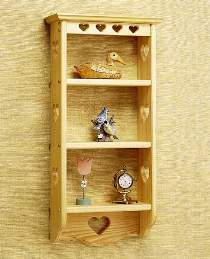 A country heart wall shelf for displaying your cherished collectibles. An attractive, decorative piece whether used alone or as part of a grouping. Measures 28-3/4"H x 14"W x 5-1/2"D.